Of all the companies spending the most on warranty, none of the largest reported massive percentage changes in 2008, which confirms the stability of their warranty programs. But there were plenty of big changes in claims and accrual rates further down the list, some for the better and some for the worse. As is plain from the financial data emerging from the fourth quarter of 2008, it was a tough year with a very rough end. Most major manufacturers have now reported their sales revenue and warranty spending for the end of last year, and it confirms that a wide-ranging slowdown has spread far beyond the home and auto industries. As if we needed to see annual reports to know there is a recession! Then again, the news is not all gloomy. As bad as things are for the automakers and homebuilders, 2008 was actually a pretty good year for the farm and lawn equipment manufacturers and even some of the trucking and heavy machinery companies, in terms of sales gains and warranty cost reductions. In the high tech sector, several companies whose warranty spending rates were well into the danger zone were able to cut their costs considerably. Microsoft went from spending 6.2% of its game console revenue on warranty work to spending 4.5%. Palm cut its claims rate from 8.6% to 6.0%. And Lexmark, which makes so much of its profits off sales of ink and toner for its printers, reduced the proportion of that printer revenue it pays back out for warranty work back under 10%. Even in the auto industry there was some good news. Delphi Corp. reduced its warranty accrual rate from 1.3% to 0.4%, back where it was years ago. ArvinMeritor reduced its claims rate by almost a third. Ford Motor Co. has cut the amount of claims it pays from $4 billion in 2007 to $3 billion in 2008. And while some of that decline is the result of its sale of divisions, some of it is attributable to long-planned cost-cutting and quality-raising programs finally beginning to show results. All these percentage rates are calculated by dividing warranty spending by product revenue, so of course the recession is having an impact on all of them. As sales decline, some of these rates would go up even if warranty spending remained the same, just as in the good years, rising sales somewhat covered up rising costs for the same reason. So when we present the snapshot data below for the top 100 U.S.-based warranty providers of 2008, we're adding two additional charts showing sales gains and sales declines. Usually, we take snapshots of the top 10 gainers and decliners in terms of claims, accruals, and warranty reserves, for a total of six charts. This will hopefully help the reader figure out which companies have meaningfully changed their warranty profiles and which are simply on the wrong side of the percentage calculations because of falling sales. Let's start with claims rates. Figure 1 includes the top 10 claims declines from within the list of the top 100 warranty providers. Because of the typical time lag between purchase and product failure, you're usually fixing last year's products with this year's revenue. If this year's revenue is up, that might have an impact on this year's claims rate. In Figure 1, for instance, Navistar International has seen its year-end claims rate fall from 3.1% at the end of 2007 to 2.5% at the end of 2008. In Figure 3, one can see that Navistar also saw its accrual rate fall from 2.0% to 1.4%. And in Figure 7, one sees Navistar had a 21% sales gain in 2008. The company actually did cut claims and accruals in 2008, but not by as much as those percentages might indicate. Claims fell from $366 million to $357 million, while accruals fell from $244 million to $206 million. The big change was Navistar's sales gain, with product sales climbing from $11.9 billion to $14.4 billion. Sales gains might also help explain some of the other claims rate reductions in Figure 1. Briggs & Stratton saw an 11% sales gain. 3Com saw a 9% sales gain. Microsoft saw Xbox sales rise by 4% in the fourth quarter. And even General Dynamics, tagged in the press for an alleged worldwide slowdown in business jet sales, saw sales of its Gulfstream product line rise by 14% last year. Then again, ArvinMeritor and Motorola each saw an 18% sales decline. Palm was down 21%. And Lexmark saw a 20% sales decline. This makes their claims rate reductions all the more remarkable. Alternatively, if this year's revenue is much smaller than last year's, you'll have to spend a lot less on warranty claims or your claims rate will rise. In Figure 2, one can see what happens otherwise. Fleetwood Enterprises, for instance, reduced claims paid from $70 million to $64 million. But sales fell by half, so the claims rate soared by 82% from 3.2% to 5.7%. Tragically, the company just this week filed for bankruptcy protection. Harman International saw claims rise from $56 million to $72 million during calendar 2008. But sales fell by 19% in the second half of 2008, so the claims rate by year's end had more than doubled from 0.8% to 2.1%. And then there are the manufacturing crises, where claims rates soar not so much because sales fell, but because products failed more often. That's the case with Nvidia, whose problems with graphics boards plagued laptop makers all of last year. But sales also fell 20%. Then again, it's not all scary. Johnson Controls and Ingersoll-Rand acquired York International and Trane, respectively, and with those acquisitions came the higher claims rates typically found in the HVAC industry. Some of those same names also top the accrual list in Figure 4, for the same reasons. CommScope proudly tops the chart with an 1186% jump in its claims rate, due almost entirely to its end-of-2007 acquisition of the Andrew Corp. Welcome to the big leagues, boys! Other first-time members of the top 100 warranty provider club include Advance Auto Parts Inc., Diebold Inc., ITT Corp.; and Joy Global Inc. Drop-outs include Beazer Homes USA Inc.; Centex Corp.; Gateway Inc.; Goodman Global Inc.; Lennox International Inc.; Quantum Corp.; Trane Inc.; and Wabco Holdings Inc.
Of the top 100 warranty providers, 34 saw their claims rate fall, as measured at the end of 2008 and compared to the end of 2007. Sixty-six saw their claims rate rise, including Visteon Corp., which was late filing its year-ending financial report with the U.S. Securities and Exchange Commission. Claims rates are particularly susceptible to massive sudden changes in sales volumes. Accrual rates should not be so easily changed. That's because an accrual should be made each time a product is sold, based on the predicted future claims cost for that product. If the sale isn't made, neither is the accrual. If sales soar, so should accruals. But the proportional relationship between a product and its warranty accrual should remain the same, unless there's been a change in quality or repair cost. In Figure 3, for instance, Microsoft is near the top because of a massive improvement in product reliability within its gaming console division. The company set aside more than $1.2 billion in calendar 2007 to finance Xbox 360 repairs. It set aside only $202 million last year, because all the old units were either already repaired or already out of warranty (or were already in landfills). Delphi at the top of the chart because it cut its accrual rate from 1.3% to 0.4% -- a massive 72% reduction. Interestingly, though, the company also saw its claims rate rise from 0.6% to 0.9%. Though that rise was exasperated by a 19% sales fall, it wasn't as massive as some of those listed in Figure 2. Still, why would a company facing rising claims cut its accrual rate by so much? Likewise, Lam Research saw a 48% rise in its claims rate but cut its accrual rate by 53%. And although not on any top 10 lists, KLA-Tencor cut its accrual rate by 28% despite a 36% jump in its claims rate. And then there were the companies that cut claims and accruals together, as is to be expected. Briggs & Stratton, 3Com, Microsoft, Lexmark, Motorola, Navistar, Joy Global, and Cisco Systems fit this pattern. Conversely, sometimes accrual rates rise dramatically. Sometimes it's because of acquisitions or other changes in the product line. Other times it's an early external indicator of internal quality problems. In Figure 4 below, the top three are repeats from Figure 2, and they're on the lists because of acquisitions they made. We're not sure why the other seven are on the list, but we hope the companies can fix whatever problems are causing these rises. Of the top 100 warranty providers of 2008, 56 have reduced their accrual rates since the end of 2007. The top 50 of those are listed on the Warranty Week home page. Only 44 have increased their accrual rates. Figures 5 and 6 change the measure from percentages of product sales to just plain dollars. For these charts, we took the 2007 and 2008 year-ending balances of the warranty reserve funds of the top 100 warranty providers, and calculated the size of the increases or decreases. It's pretty simple stuff, but again it captures some of the same newsmakers. Figure 5 shows the top 10 percentage increases in size. Atop that list is Nvidia, which as mentioned had a massive problem with circuit board defects. Second on the list is Ingersoll-Rand, which as mentioned made a massive acquisition in a warranty-intensive industry. And then there are others whose warranty reserve increases are primarily due to sales increases. Deere, Manitowoc, and Cummins, for instance, each saw sales increases of more than 10% and boosted their reserves by 25% or more. Diebold, NCR, and Advance Auto Parts, on the other hand, boosted reserves by double-digit amounts while sales grew by single-digit rates. Kodak, Harman and Palm saw sales fall. All six boosted their accrual rates, by the way, and all but Palm also saw their claims rates rise. So clearly, these big percentage changes come in twins or triplets. Of the top 100 warranty providers of 2008, a total of 42 have increased their warranty reserve balances since the end of 2007. Fifty-five reduced the size of their warranty reserves, and three have left the balances unchanged. Of those 54 companies that increased their warranty reserve balances, the top 10 are listed in Figure 6. Lexmark is by far the most aggressive balance-cutter, taking $200 million or 80% of its reserves away. No other company reduced their reserves by more than half. Further down the list, the balance reductions by Fleetwood Enterprises and Pulte Homes can be attributed to falling sales. The cuts by Microsoft can be attributed to reduced product failures. And the cuts by Tyco are the result of divestitures of divisions that took some of the reserves with them. Delphi, KLA-Tencor and Lam Research saw their balances decline because, frankly, that's what happens when accruals are radically reduced while claims radically rise. No other companies among the top 100 did that in 2008. Finally, because it's now been almost six months since the collapse of Lehman Brothers set off the current financial panic, and since most companies have now reported a full quarter of post-panic revenue, we thought it might be useful to take a quick look at which were up and which were down. Of the top 100 warranty providers of 2008, 54 reported product sales declines and 46 reported sales increases. However, because not every company ends its fiscal year on Dec. 31, we must note that some companies were reporting their full-year sales in their Form 10-K annual reports, while some were reporting just their sales for the fourth calendar quarter of 2008 in their Form 10-Q quarterly reports. So some of the companies may have shown post-Sept. 15 declines that were masked by sales gains earlier in the year. And we also should note that these are just the figures for warranted product sales, and therefore do not include service revenue, mortgages or interest income, land sales, software sales, rentals, or sales of consumables or extended warranties. We're trying to compare apples to apples, so we use actual warranty expenses and actual warranted product revenue when computing the percentages in Figures 1 through 6. Still, it's important to note that the declines weren't universal. As mentioned, the farm and lawn equipment makers seem to have had a good year, which of course could have something to do with the growing season ending more or less at the same time as the panic started. In Figure 7, the sales gains of CommScope, Ingersoll-Rand and Joy Global are clearly acquisition-related. But what explains the gains by Eaton, Navistar, Juniper Networks, Jarden and ITT? It doesn't matter. Sales gains are to be celebrated, not explained. In Figure 7, what we've done is listed the top 10 gainers, along with the percentage changes in their claims, accrual, and reserve balances. When all four rise together, it usually signals an acquisition. When sales rise but the three warranty measures all decline, it means something dramatic has happened in terms of cost reduction or quality increases. And when the figures are mixed, well, that means there's a mixed picture. Figure 8 lists the top 10 sales declines of 2008. We should note that four homebuilders made this list, and that all seven of the homebuilders in the top 100 saw declines. Two RV builders also made the list, as did three semiconductor equipment makers and one disk drive supplier. Interestingly, none of the other automotive OEMs made this list. To be sure, most showed sales declines, but the RV makers were hit the hardest. And we say that before even knowing what the bankrupt Monaco Coach is going to report for the year. For the record, General Motors reported a 17% decline in worldwide automotive product sales for the full year, while Ford reported a 16% decline. We only mention that because neither company made any of the top 10 lists, and therefore people might otherwise think they were somehow overlooked. They were not. They just simply were surpassed by 10 or more other companies in every measure. In fact, very few of the largest warranty providers made any of the top 10 lists. Besides GM and Ford, the roster of those making zero appearances also includes Apple; Boeing; Caterpillar; Cummins; Dell; Emerson Electric; Hewlett-Packard; IBM; Paccar; Sun Microsystems; and United Technologies. GE, Motorola, Cisco, Whirlpool, Visteon, and Seagate made only one of the eight lists. Deere made two lists. Microsoft and Navistar made three lists. Of the largest warranty providers (2008 claims > $200m), only Ingersoll-Rand made the maximum of four lists, and only because of their acquisition of Trane. Warranty complaints that vehicles would not restart once placed in park prompts GM recall. Proton Cars covers GEN-2 Special Edition vehicles with a five-year warranty. 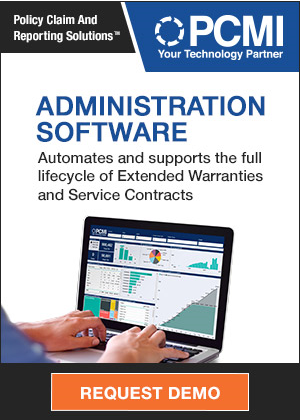 4CS Inc. announces Service Suite, including its iWarranty warranty lifecycle management module. U.S. Dept. of Defense renews SigmaQuest's International Traffic in Arms Regulation certification. Washington state Senate, House each pass separate home warranty bills. New Jersey governor suggests taking $10 million from the New Home Warranty Security Fund. Renewable Fuels Association says 15% ethanol blends will force auto warranties to change. Emocean Marine shipyard in Abu Dhabi says it has the best warranty in the region. Fleetwood Enterprises Inc. files voluntary petitions for Chapter 11 protection. Monaco Coach dealers to get incentive payments against warranty claims that have accrued. Office Depot employee says chain has 30% extended warranty attach rate quota for laptops. Microsoft Notebook Cooling Base and Arc Base mouse have three-year warranties. Indian computer trade association launches Web sites to deal with warranty issues. Fulcrum and 4CS announce a strategic marketing partnership. Dell Latitude E6400 XFR rugged touch-screen laptop has three-year warranty. AIAG recognizes 30 companies for their 25 years of membership. New owners of racing car maker Saleen Inc. won't honor warranties on any existing vehicles. RV dealer sells motor homes made by bankrupt Monaco covered by an extended warranty. Pedata RV touts extended warranties to cover buyers whose manufacturers go out of business. Miguel Caballero to sell bullet-proof T-shirts covered by five-year warranties. Home warranty bills advance in Minnesota, despite opposition of builders. Warranty work is bargaining chip in Transport Workers Union strike talks. 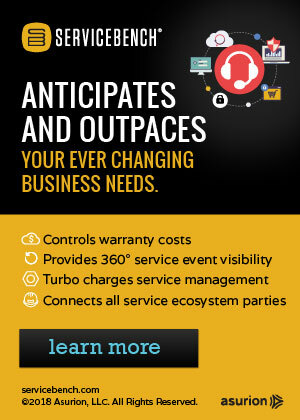 Hewlett-Packard makes HP Insight Remote Support service free for all warranty holders. Univ. of South Dakota students lose the extended warranties they had on Gateway laptops. Consumers in Dubai need to be educated about their warranty rights. Chrysler says its corporate warranty claim rate is down over 30% in the last 12 months. Warrantech appoints Dominic Sansone as president of Warrantech Automotive. Warranty Solutions selects the StoneEagle Group's SecureCard for claims management. Meisho to fix Melbourne's crippled Southern Star Observation Wheel under warranty. ACS to provide Brother International with data entry services for warranty registration cards. Monaco Coach gives termination notices to the majority of its remaining workforce. Nokia stops selling the 5800 XpressMusic mobile phone in U.S. due to 3G signal issues. Warranties on unlocked Etisalat iPhones undercut imports and grey market prices. Dealers slash prices and double warranties at Roanoke boat show.